The new ProMach office locates key sales, project management, and technical support capabilities close to its expanding base of food and beverage customers in the region. ProMach’s international business has tripled since 2011 and today represents 20 percent of the organization’s overall revenue. The Middle East is one of the fastest growing sales regions for the company. The Middle East office team led by Jad Haddad, Director, Sales and Marketing, and Baderdin Skandry, Director, Aftermarket Sales and Service, brings customers a new, higher level of technical sales, project management, and ProMach ProCustomer support services. Furthermore, staffers have the resources of more than 20 leading brands of packaging technology to call on and can provide a single point of contact for turnkey projects. With eight years of sales and marketing experience in automation and packaging solutions, Haddad has extensive knowledge about the packaging markets of the larger Middle East and the Gulf Cooperation Council (GCC) countries. Haddad holds a Bachelors of Engineering degree in Industrial Engineering and an MBA. Skandry has extensive after sale support experience, including After Sale Supervisor World Wide for Arcil, and After Sale Manager Middle East for the Dextra Group (UAE-Dubai). He holds a BTS (Advanced Specialist) degree in Maintenance System Mechanics and Automation. 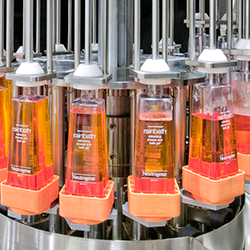 At Gulfood Manufacturing, attendees will have the chance to learn more about ProMach’s three key bottling and capping brands for the food and beverage industry. 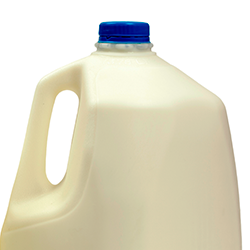 Federal is one of the most respected companies in the worldwide dairy industry and the Middle East is no exception, with a significant base of Federal equipment installed in the region. Federal Mfg. 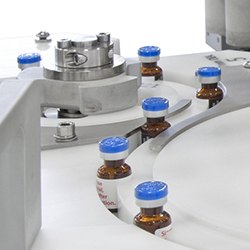 filling machines are noted for their rugged design and ease of operation. Zalkin is recognized for technology innovation in capping and machines that perform at peak efficiency year after year. 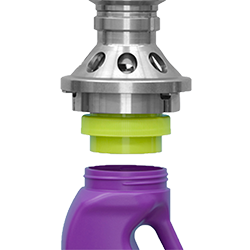 Pace plastic bottle unscrambling and orienting systems are now in more than 90 countries worldwide. In addition to highlighting Federal, Zalkin, and Pace solutions at Gulfood Manufacturing, ProMach personnel will discuss with attendees the company’s project management and integration services expertise for turnkey bottling and capping solutions. For more information on ProMach sales, project management, and aftermarket support in the Middle East, call +971 504 125 200. And visit ProMach at www.ProMachInc.com for information on the wealth of solutions the company offers in primary packaging, flexible packaging, pharmaceutical packaging, material handling, bottling and capping, labeling and coding, shrink systems, and end of line solutions.